EXCLUSIVE AT NET-A-PORTER.COM. 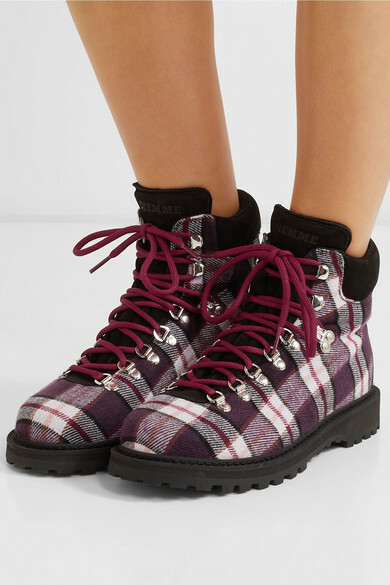 If you're a big fan of the 'dad' sneaker trend, then you're going to love this season's hiking boots – especially Diemme's edit. 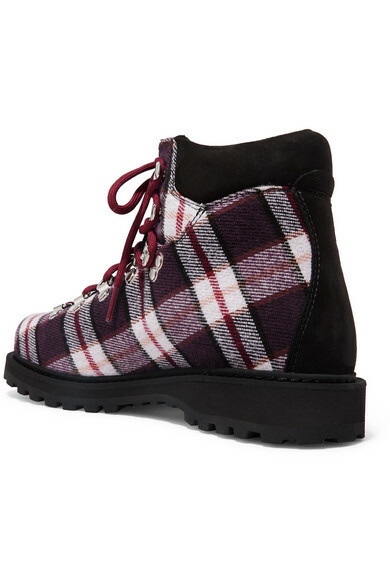 Handmade in the town of Montebelluna, Italy (which has long been famed for producing exceptional performance footwear), this plaid felt pair is trimmed with supple suede and set on hard-wearing Vibram soles. 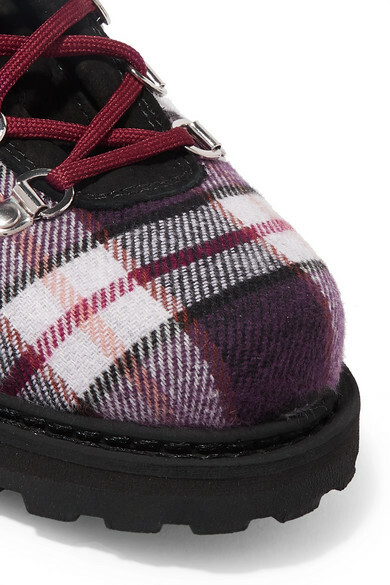 Wear them with everything from floaty dresses to straight-leg jeans. 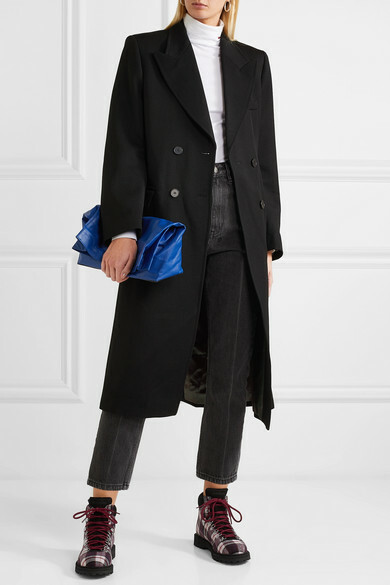 Shown here with: Isabel Marant Coat, Ksubi Jeans, SIMON MILLER Clutch, Wolford Bodysuit, Sophie Buhai Earrings.